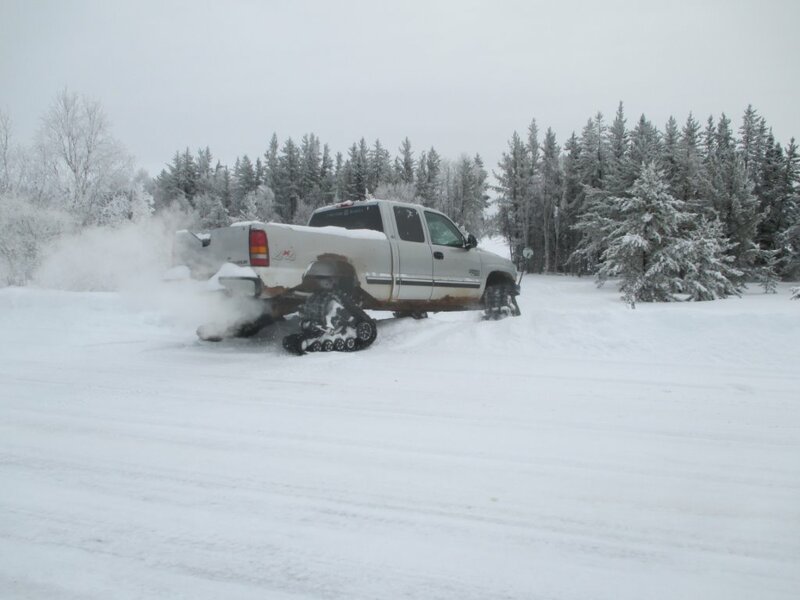 after a month of ski-doo and KoO-Tracks packing all the snow as it fell on the ground whicxh is record amounts for this time of the year. 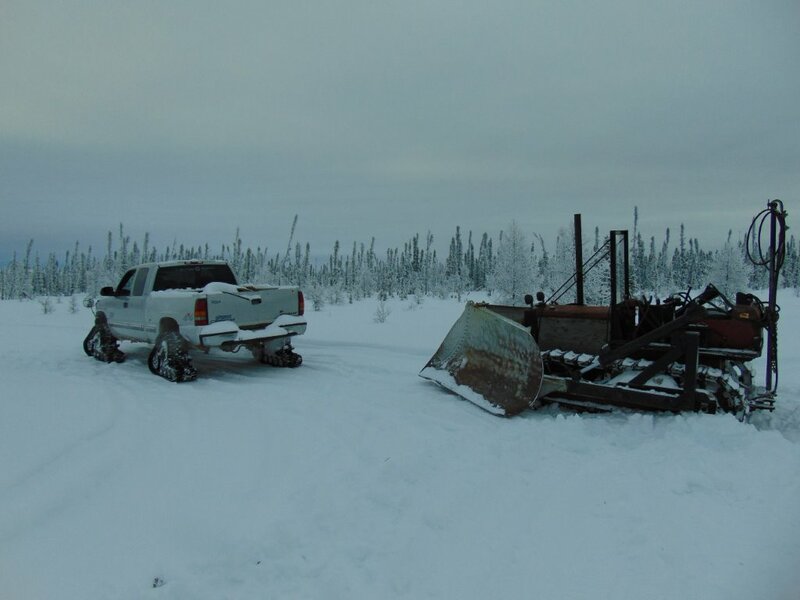 it was time to plow the snow off to get the ground to freeze up to build a winter road. 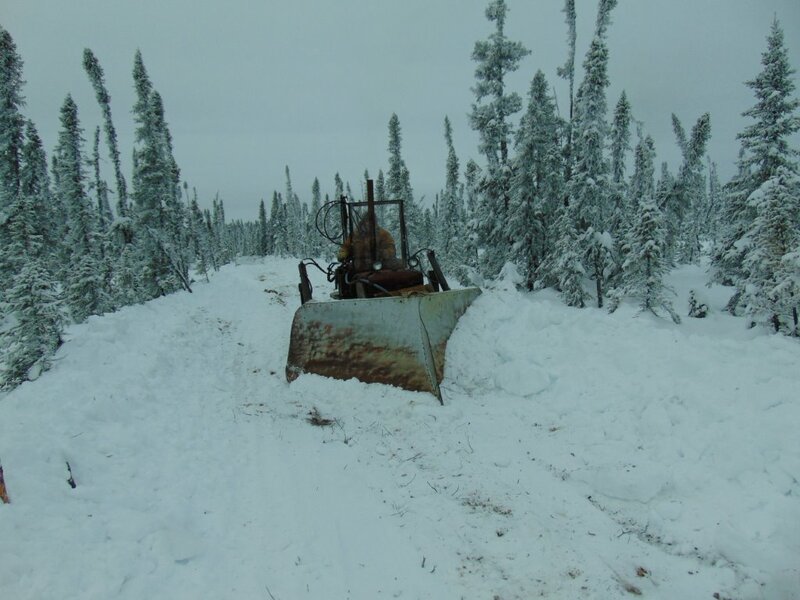 the right equipment for the job was the 1948 IH TD-6 cat with the big VEE Plow know as the Kommunist Kat that i have owned for over 15 years now. 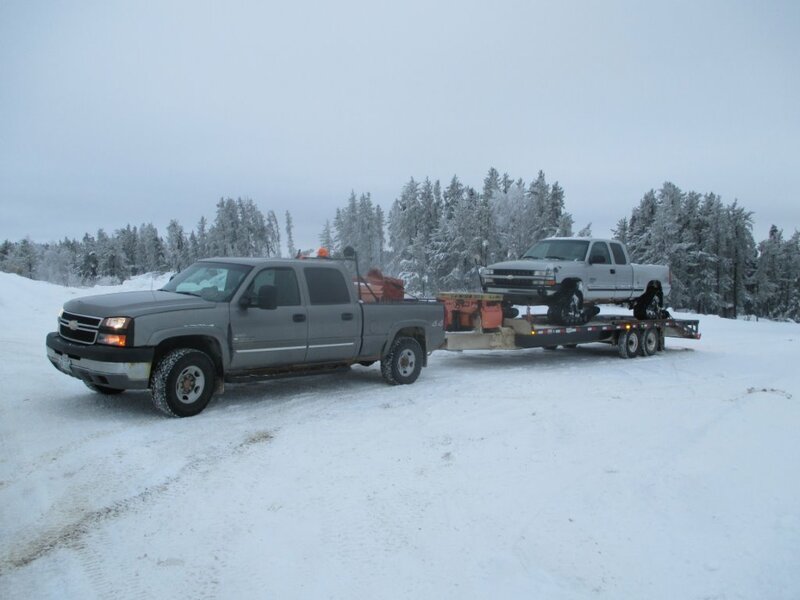 the support vehicle is the KoO-Tracks with xena driving because you never got to the bush with one machine. xena gets to drive while her boyfriend who we call "the staff" gets to ride along. 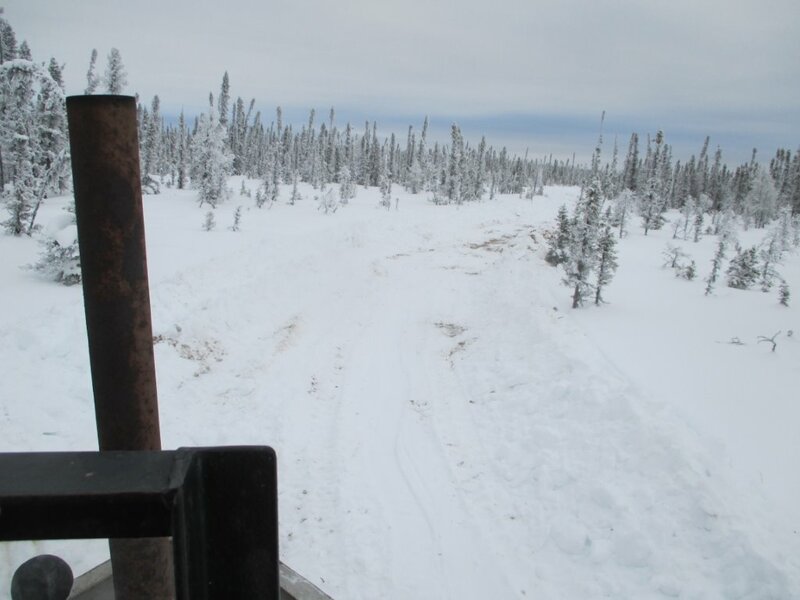 the KoO-Tracks now have over 700 kms of use and they have preformed very well. 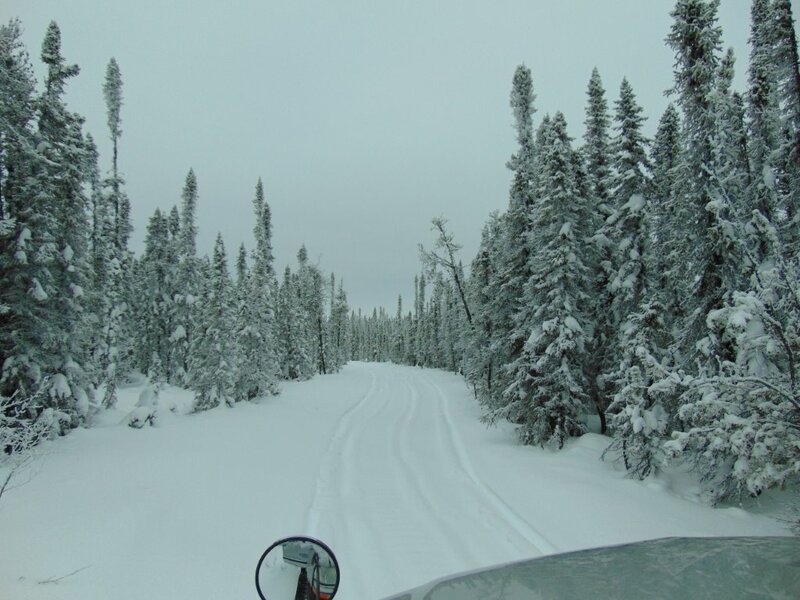 the winter drill roads we have consists of every type of snow, muskeg, water conditions in the great white north. on Swamp Lake 1,we travel around the edge of the lake which has thick vegetation. i will not get in to the fancy names of these different vegetations because everyone calls everything different names. my website is viewed around the world and people use the translator on their computers to follow along so i have always kept it simple. 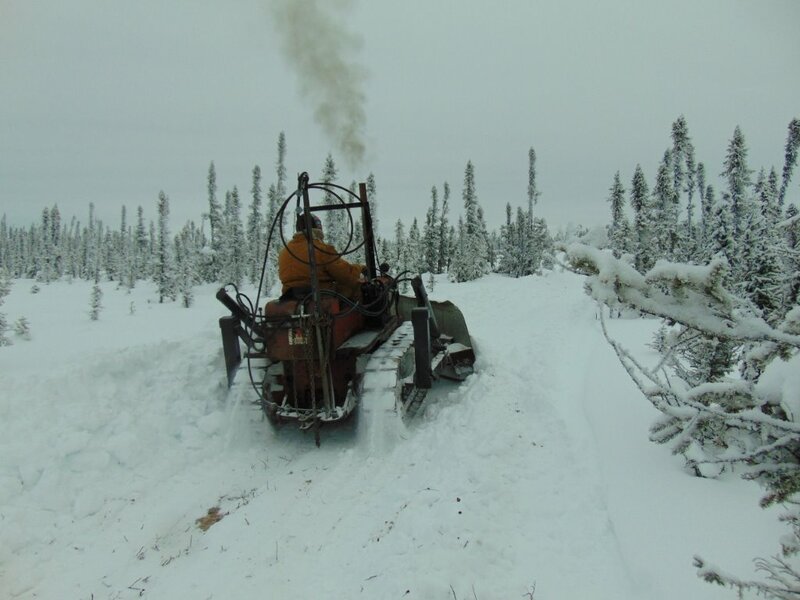 the trick is to cut the deep snow down to the vegetation but not the crust on muskeg or the cat will sink. 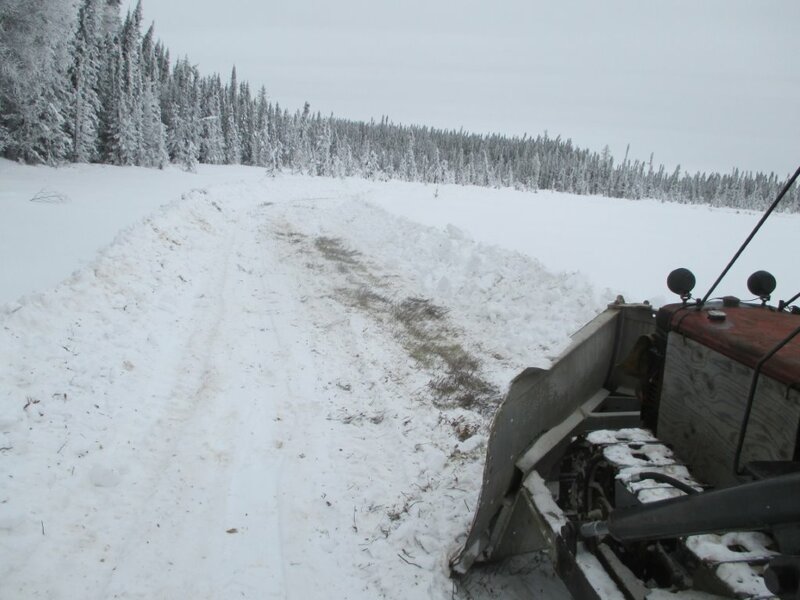 the overcast day made the pictures look terrible but in winter road building you have to do the job no matter the weather conditons. the first portage between Swamp Lake 1 and Swamp Lake 2 had lots of snow in the trees. 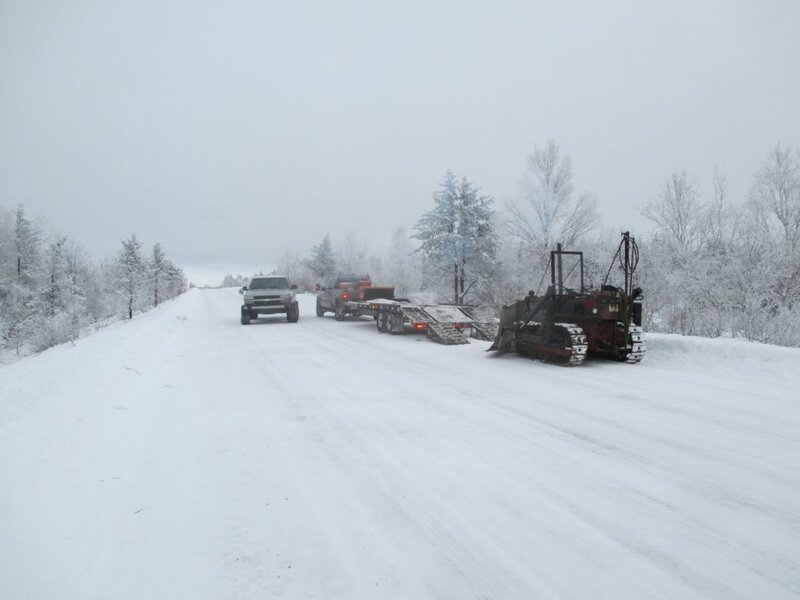 the Kommunist Kat being 69 years old was blowing black smoke on the hard push to move the deep snow. 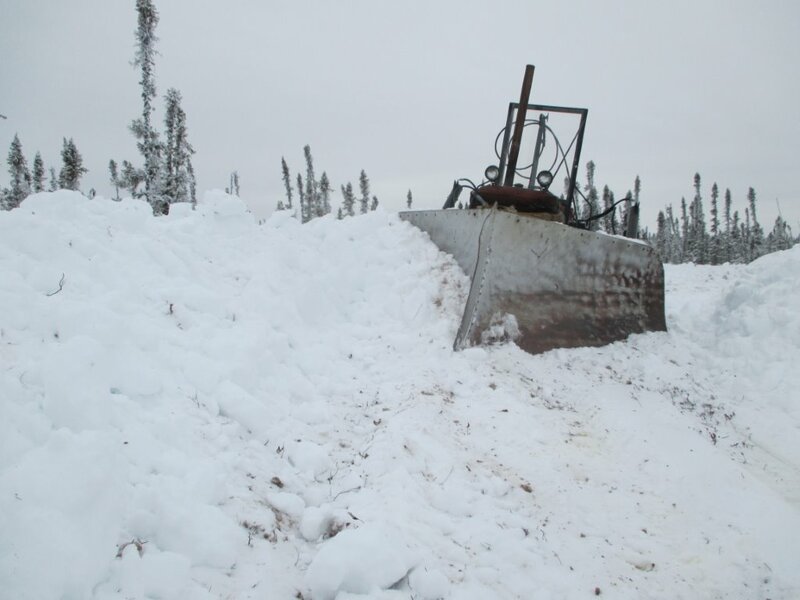 it is a game of Russian Roulette on plowing the snow off the muskeg. 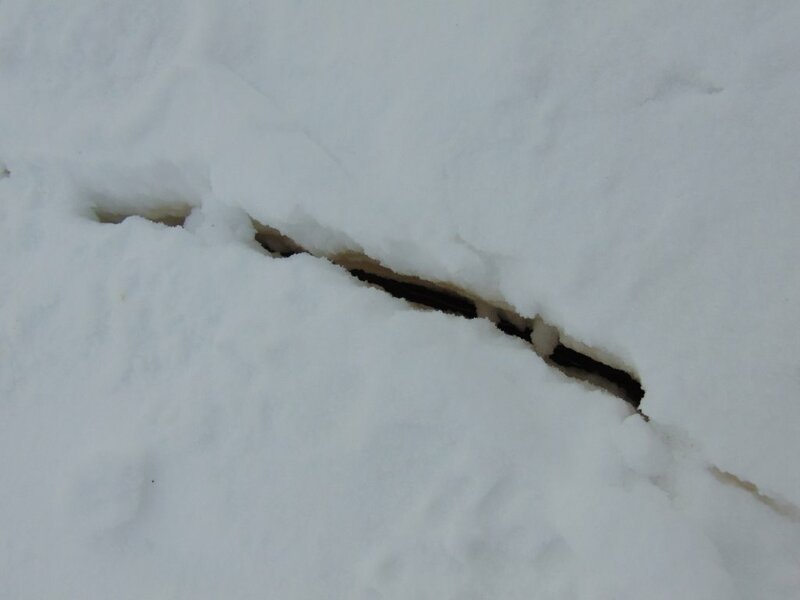 the ground underneath might not be frozen enough to support the weight of the cat and break through. the Kommunist Kat broke through on this spot and we had to travel around this spot because it was really bad compared to what the pictue shows. 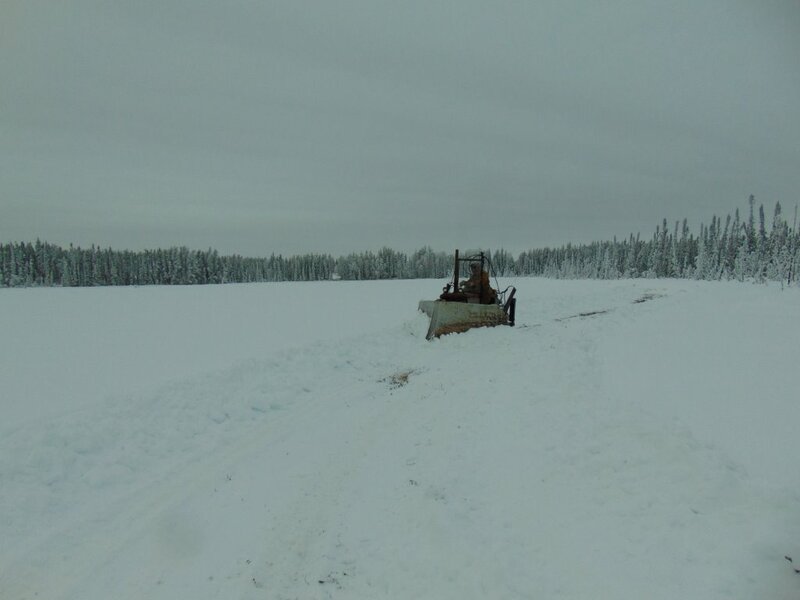 as we plowed around Swamp Lake 2, the snow seem to get deeper and deeper because the wind had blowing all the snow there. 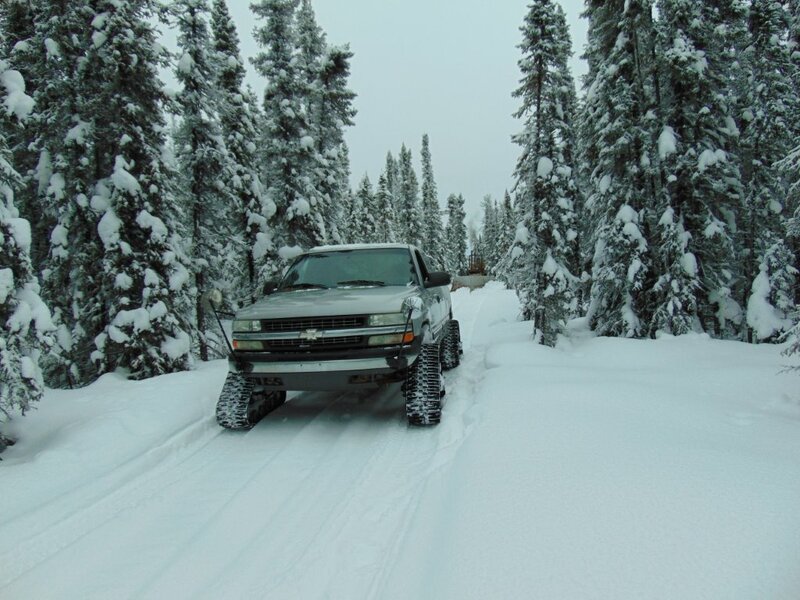 the deeper the snow the harder it is to plow when the ground is not frozen underneath. we are comparing the amount of snow we have now to the regular amounts we have at the end of the winter. this is way too much snow for December but the right amount for the month of March. 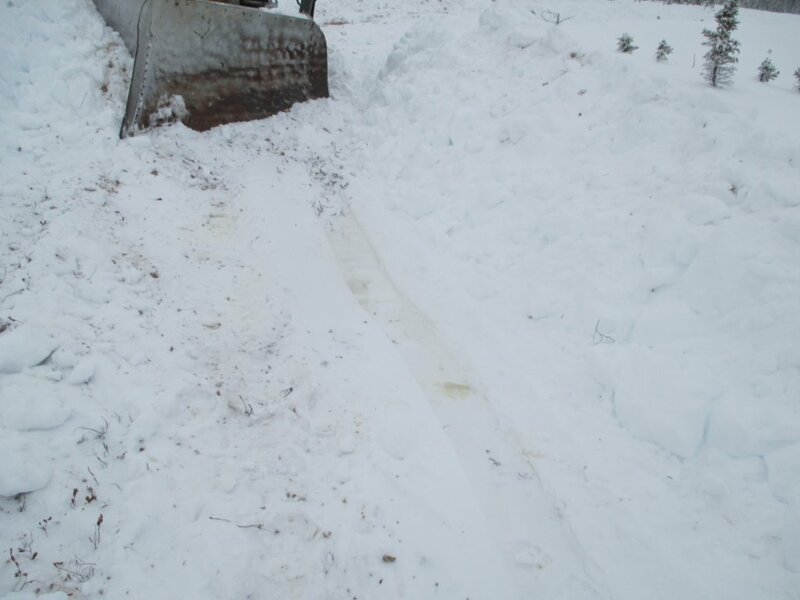 as we plow the water comes up through the snow because we have now added extra weight to the thing ice and it is pushing down causing water to come up. the skies had a funny colour to them which made for the pictures to have less details. the sweet sound of the td-6 diesel engine working hard. 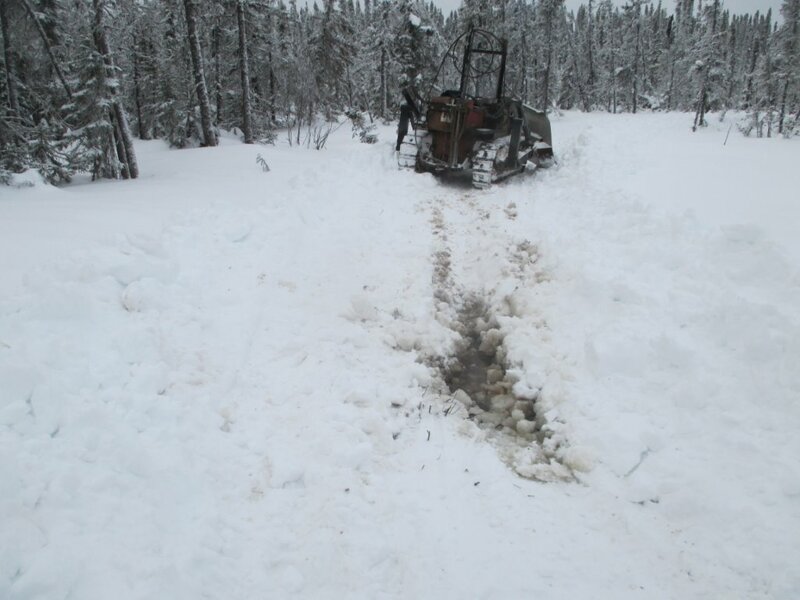 as we plowed and came up to the wet muskeg the snow got less and less because it it actually melting from the warmth of the muskeg. 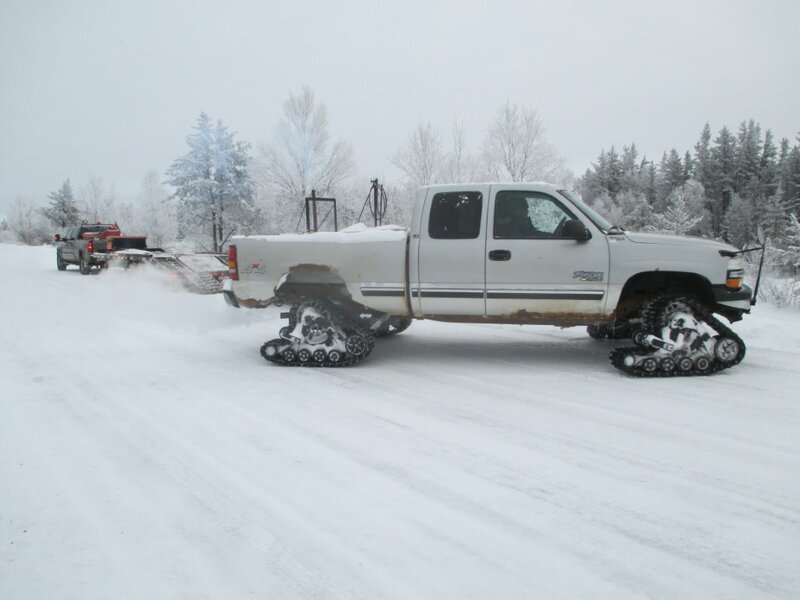 i was un-able to plow any snow in this are where i i got a boot full of water the week before. the snow packed could barely support the weight of the Kommunist Kat. in this picture, the back end of the cat is slowly sinking. 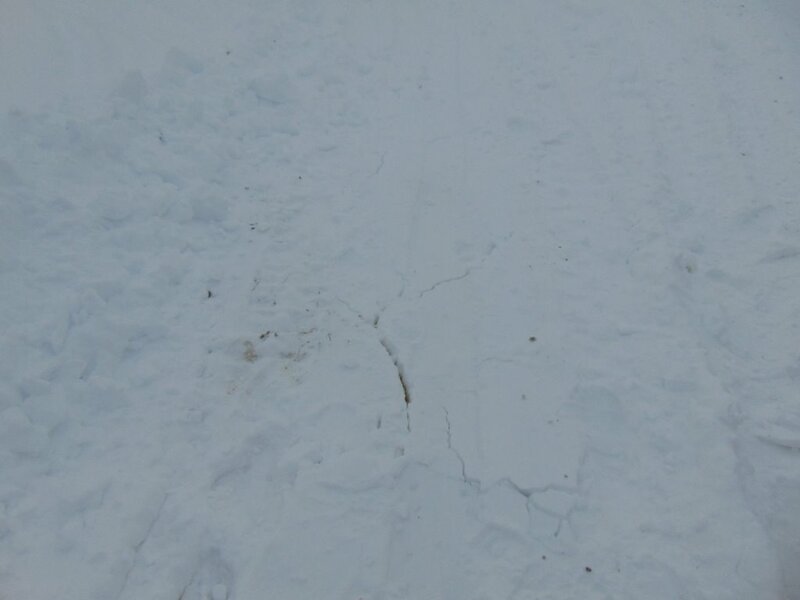 our nice snow packed snow just broke up with the weight of the cat travel across at high speed. through the cracks you can see the water. 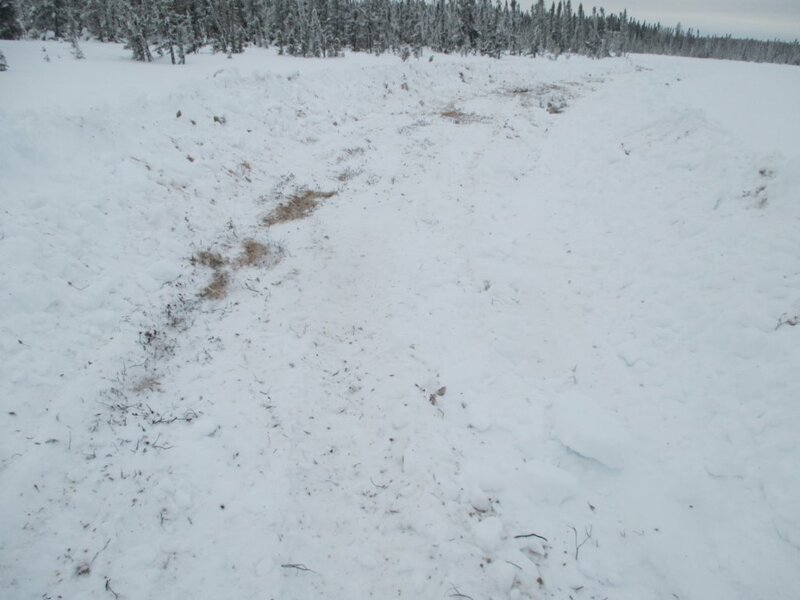 the weather forecast is for colder days through xmas holiday which will freeze up this wet muskeg very nicely. 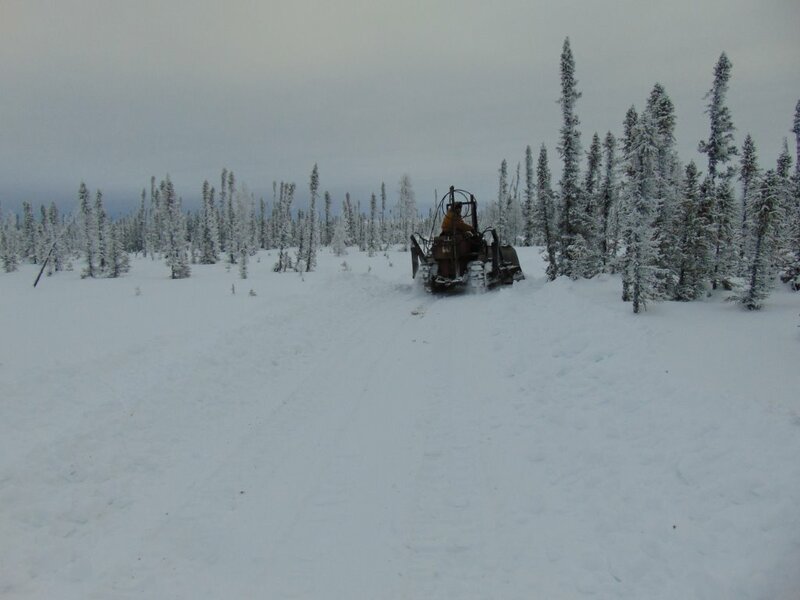 with the excitment of almost sinking the cat we head off plowing more and more snow. 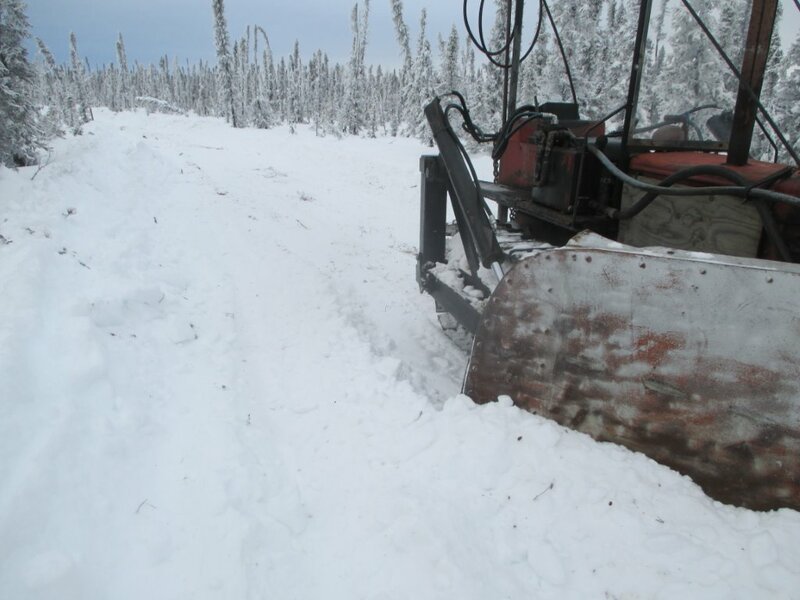 we call this part the dry muskeg because it never really has any water in it but great fun to plow. 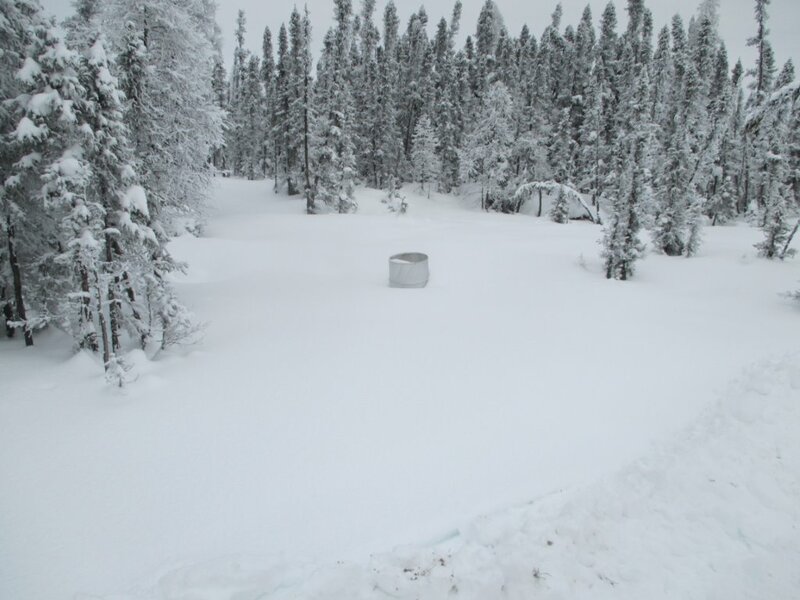 to mark things on the drill program i use painted barrels that we have recycled and easy to spot in the deep snow or by helicopter in the summer months. yes that is a lot of snow with more snow to come too. 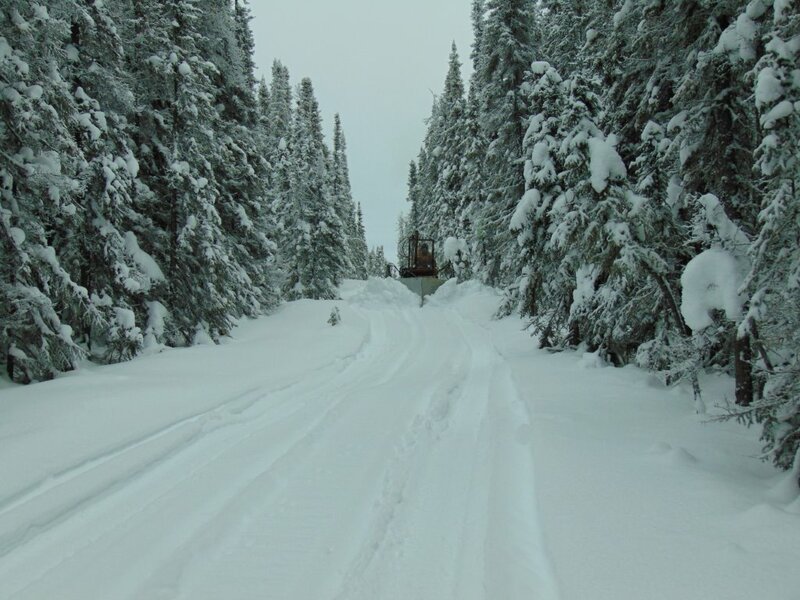 we have packed the road so well the Koo-Tracks are riding high on the snow packed trail. we are now heading up the North access road which a good solid road and can be used in the summer months for access. in the great white north, if the ground is solid for year round travel it will have lots of rocks to make it solid. no matter how hard you try not to hit a rock they are there. the bigger the trees the better the ground is which means more and more snow because the wind has not blown it away. 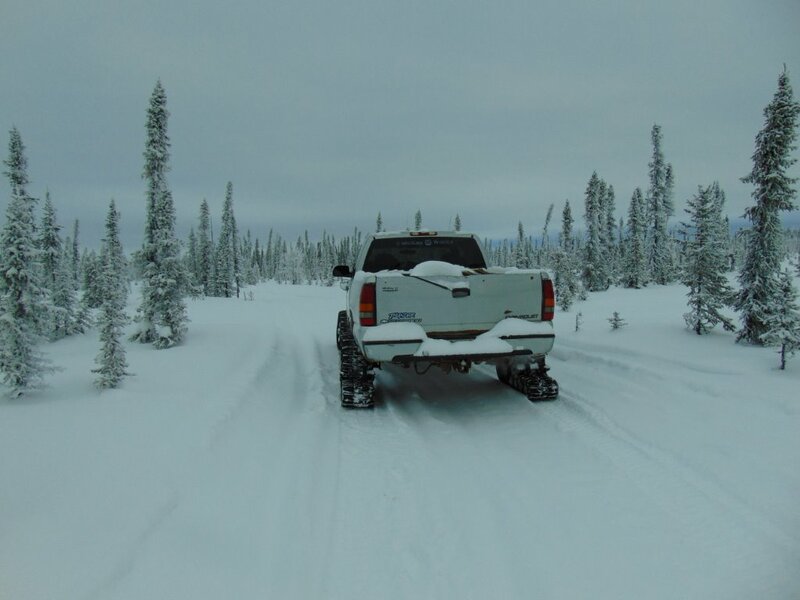 the KoO-Tracks did good with xena and the staff having fun in the truck all day. they were nice and warm while i froze on the cat. just a quick video of a boring climb back up to the highway. we are loaded up and heading back to the Kingdom after a family fun day in the bush.